Just when we thought that the most physically tiring part (Bush and Beach horseback riding) of the Mornington Peninsula tour is over, the next part of the tour involved a challenge that was mentally tiring! It had to do with finding our way out of one of the world’s most challenging hedge maze. We conquered the Irrgarten Maze in Schonbrunn Palace at Vienna in 4 minutes easily but the hedge maze at Ashcombe Maze and Lavender Garden posed many challenges – not only was it big (almost twice the size of the Schonbrunn Palace maze), it was very narrow and full of thorny branches – definitely not a fun experience for the claustrophobic. 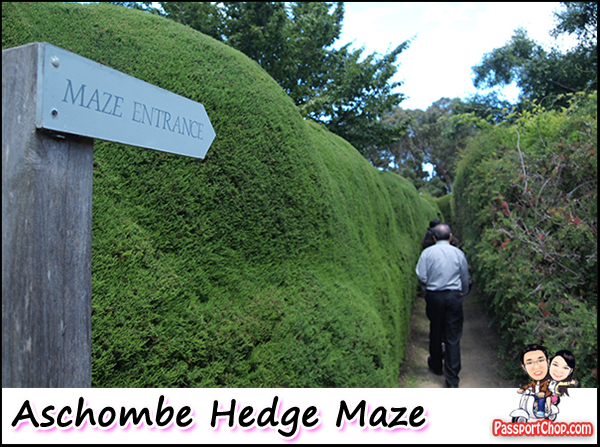 Check out this video to see how challenging this hedge maze is – we took about 10 minutes to get out of it! Lots of corners that looked like dead-ends but actually they led to other paths and you will also meet people whom you thought were behind you – some of these examples can be seen in the following video! To get a sense of the size of the Hedge Mazes – there are 2: North and South maze, check out the picture below for an aerial view (picture courtesy of Ashcombe Hedge Maze and Lavender Gardens) The Hedge Maze stands at over 3 metres high & 2 metres thick. The hundreds of metres of winding paths take you through the South Maze into the Centre Garden before you tackle the North Maze. The North Maze is a totally different layout to the South Maze, so any tricks you worked out while making your way through the first part, mean absolutely nothing in the other! 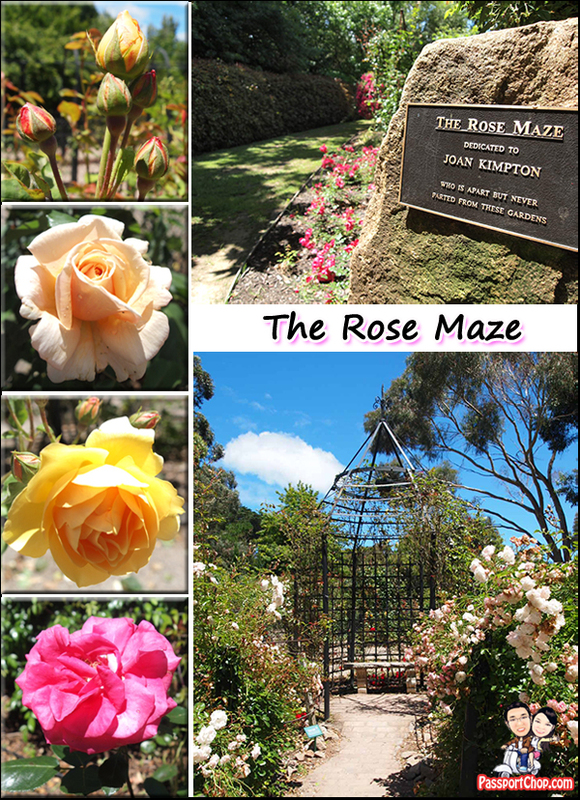 Besides having Australia’s oldest & most famous hedge maze, Ashcombe Maze & Lavender Gardens is also home to a beautiful Circular Rose Maze and the year round flowering Lavender Labyrinth – all set among 25 acres of world acclaimed gardens. The Rose Maze is a series of concentric wire fence with lots of species of roses – white, red, yellow (sorry I don’t have their scientific names – the easiest way to differentiate them is by colours) and these fences eventually lead to a metal cage in the centre of the maze where you will be surrounded by more … Yes – Roses! A very easy maze considering you can see the objective (the metal cage) from the outside and you just follow a fixed route and you will get there. 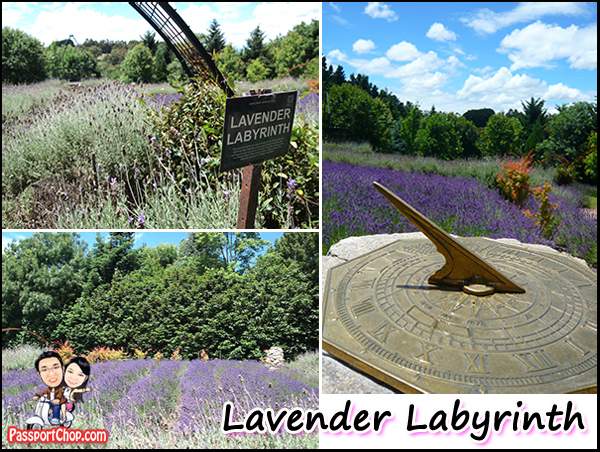 The Lavender Labyrinth is just a garden full of … Lavender flowers! Quite an awesome sight to see this field of lavender flowers with the clear blue sky as the backdrop. After exploring 3 of Ashcombe Maze and Lavender Garden’s attractions – South Hedge Maze (we didn’t have time to conquer the North Maze), Rose Circular Maze and Lavender Labyrinth, we decided to settle down at the Maze Cafe (aptly named because it is what you see when you get out of the North or South Mazes) for some dessert. 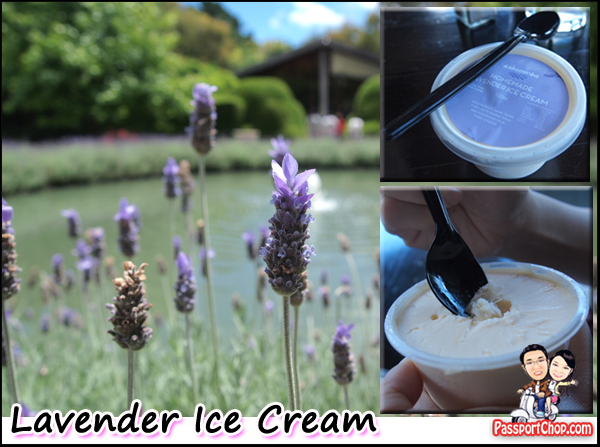 Considering that this is the Lavender Gardens, we just had to try their Lavender-flavored ice-cream – BIG Mistake ! The Lavender ice-cream (AUD$3) tastes exactly like soap! Most likely because we had always associated the lavender smell with nice-smelling shower gel or soap. The Ashcombe Maze and Lavender Gardens opens daily (except Christmas Day) from 10am to 5pm and on Summer holidays, it is open til 6pm. Admission Prices for Adults and Children cost AUD$16.50 and AUD$9.50 respectively. If you are a big fan of gardens, you can also check out the Garden Pass which provides you access to 2 other gardens in Mornington Peninsula – Australian Garden at Cranbourne Botanical Gardens and Heronswood Gardens & Dining. Great post! I think it’s something about mazes that make them really artsy. Btw I liked the third picture the most. I love the mazes, they are really artsy. Are they all residing in the same country? 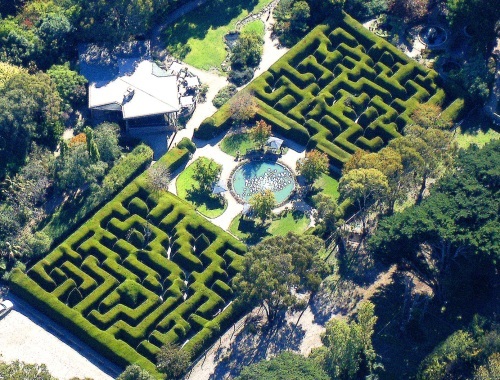 the hedge maze looks amazing (no pun intended) will have to go try that out some day. Great post and nice travel. I hope to share similar experience on my Singapore travel blog someday! So the other day my dad and I were pondering about this. I’m going to pass this post along, facebooking it now. Thank you for the wonderful post and the happy coincidence.